An integral member of the Top Grade Construction Team, our HS&E Manager performs ongoing site visits and audits to ensure that all field personnel remain in compliance with Top Grade's strict Safety and Operational procedures and guidelines. All field operations, maintenance and transport personnel are qualified to Top Grade Construction's standard field safety certifications and operating procedure standards and adhere to a safe and efficient operating protocol. 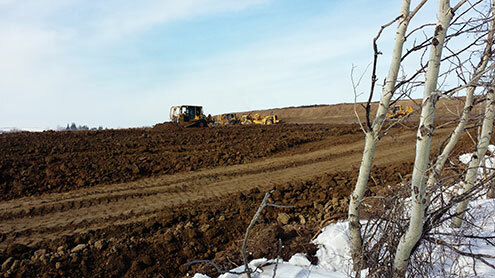 Top Grade Construction is aware of the risks to the environment that are a part of carrying out operations. These risks include the potential pollution of air, water, land and the disruption of natural habitats. With that being said, Top Grade is committed to protecting and maintaining the environment with respect to all corporate operations on behalf of ourselves and the general public. 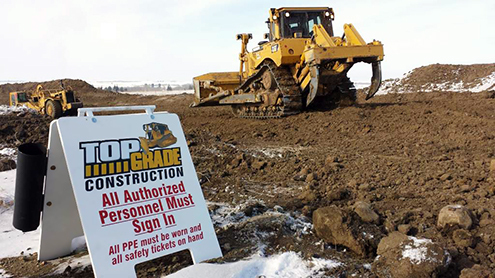 Top Grade Construction conducts all of its operations in compliance with all provincial and federal operations and environmental regulations. By conducting its operations with the protection of the environment as a priority, the company expects to improve its ability to foresee and act on potential incidents that might occur. Our goal is to create long-term social, cultural and economic benefits for the community, its residents, company employees and company shareholders.